Content: Randal Collier-Ford has released an impressive number of productions in a rather short lapse of time. We earlier this year saw this artist joining the growing Cryo Chamber roster to unleash the album, “The Architects”. “Remnants” is a new work, which explores different paths of the wide dark-ambient genre. The previous work was also dealing with minimal-electronic experiences while “Remnants” is more into dark reverie and certain cinematographic music creations. The opening cuts feel like entering an abyssal sonic environment filled with echoing noises and compressed drones. Both debut tracks are absolutely worthy of examination. “Horns Of Eden” is a little pearl in the genre. The composition progressively moves into dark soundscape passages, which are accomplished by obscure humming blasts and field recordings. “Dies Illa” makes me think of a kind of horror-soundscape from which emerges a strong visual appeal showing you the darkest corners of your imagination. The human mind is a fascinating subject from, which emerges a great energy when listening to such a kind of work. Randal Collier-Ford invites his audience to explore obscure passages. A kind of anguishing and resonating bells mixed with heavy drones are emerging from “Suspension Of Icarus” while the deep sound waves running through “Eye Of The West” can’t leave you unmoved. “Remnants” sounds like a heavy blast of evil noises and monstrous sound treatments, which you’ll experience again on “Pale Horse”, but the absolute climax comes at the end. I couldn’t imagine a more appropriated and visionary title than “Revelations” to bring the listener in total apotheosis. 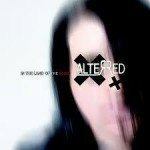 This track is a pure revelation, when it comes to get back to the imaginary abyssal atmosphere of the debut part while empowered by an impressive, low droning cadence. This is the sound of a nightmare, which will not make you scream, but simply feel comfortable to experience the darkest images running through your mind. It’s a haunting and poignant experience. 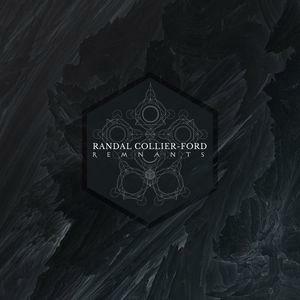 Conclusion: “Remnants” reveals the diversity of Randal Collier-Ford, but most of all, it reveals the great composing skills of this artist in haunting ambient music. Best songs: “Revelations”, “Horns Of Eden”, “Illa”, “Suspension Of Icarus”.